Do you lead an active lifestyle? Work, gym, swimming pool, home, shopping, children, family, school, mornings and afternoons in a constant rush... In the evening, you only think about getting some rest? Do you limit you body care – and especially hair care – to a minimum? You have no time to apply a conditioner or hair mask? Our hair has a very delicate structure and regular nourishment is the absolute foundation of care. Without proper preparations, it begins to dry up, fade, crumble. Additionally, the ends begin to split, wisps become dull and eventually, fall out. Hot air dryers, chlorinated water, vigorous wiping hair in a towel, dry air from the radiators, strong sun... these factors also weaken our strands. If we do not help them with the use of a conditioner – soon, we will encounter deplorable results. Then, even the best hairdresser might not be able to help. Fortunately, there is a remedy in the form of natural oils. They are known for centuries and appreciated as a reliable means for nourishing our wisps. Hair oils are currently experiencing their "second youth". Cosmetic companies often sell hair products, developed on the basis of natural oils. Their advantage is that the application of such products is simple and fast. Such products often contain additional substances that are needed for healthy hair growth and beautiful appearance: keratin, silk, silicones. Natural oils, are a valuable source of good fatty acids, vitamins and minerals. 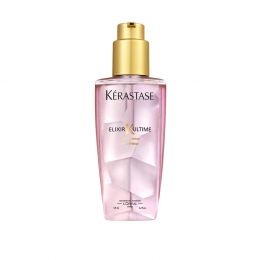 They are responsible for proper functioning of processes in cells, regeneration, adequate moisture level of hair. Furthermore, they protect strands from damage and adverse climatic conditions. How should you use hair oil? 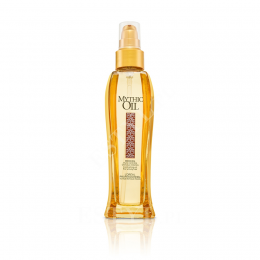 Hair oils outclass hair conditioners, balms and lotions. We can adapt the method of application of cosmetic oils to the lifestyle we lead. If you do not have time for leaving oil on hair for a long period of time, just apply it on dry hair (you can do this even several times a day), or on wet strands after bath. This application does not require rinsing: the product itself is absorbed and your hair will be nourished and protected. 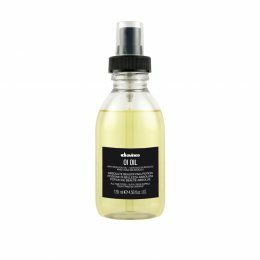 How to find the best hair oil? In order to meet women’s needs many cosmetic companies release oils in versions with atomizers or products provided with pumps for easier application. Oil can thus be applied on hair even during a break at work or sprayed on when driving a car (or more precisely, standing in a traffic jam). For someone who does not have time to choose among dozens products, lingering on the shelf in a drugstore such a decision can be problematic. Additionally, an unsuitable product can be very discouraging and even harm our fragile hair. At the same time, we will waste time and money. To avoid such unpleasant surprises, just read the following ranking. 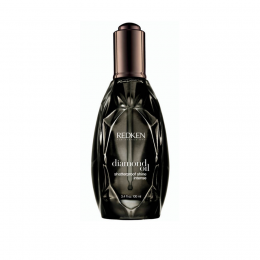 This is a list of the most popular, best quality and the best available cosmetic oils for hair care on the market.